These little gems are spendy, but on occasion they are a fun splurge, especially because of their dense nutritional value. According to Northwestern University, goji contains all essential amino acids and is filled with powerful antioxidants that combat heart disease, boost the immune system and lower cholesterol. 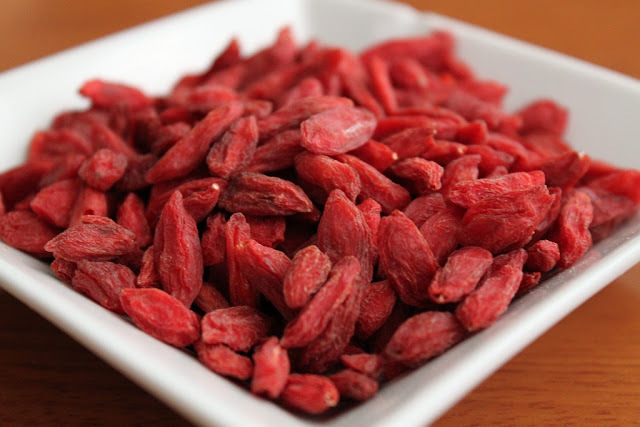 Goji has the highest concentration of protein of any fruit (I love this) and are loaded with vitamin C and iron (IRON!). Studies have shown goji can improve mental health (major plus), athletic performance (nice advantage), quality of sleep (never hurts) and overall happiness (miracle drug). While most of these positive side effects of goji are inconclusive (darn), why not include goji in your daily diet in hopes of fending of illness and securing a more peaceful REM? 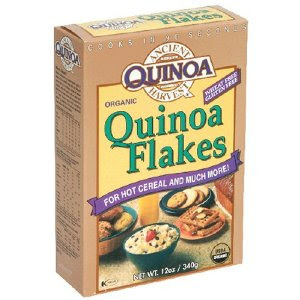 I've recently tried quinoa flakes after much hype on Twitter. I think they taste great mixed with oats for a yummy breakfast. 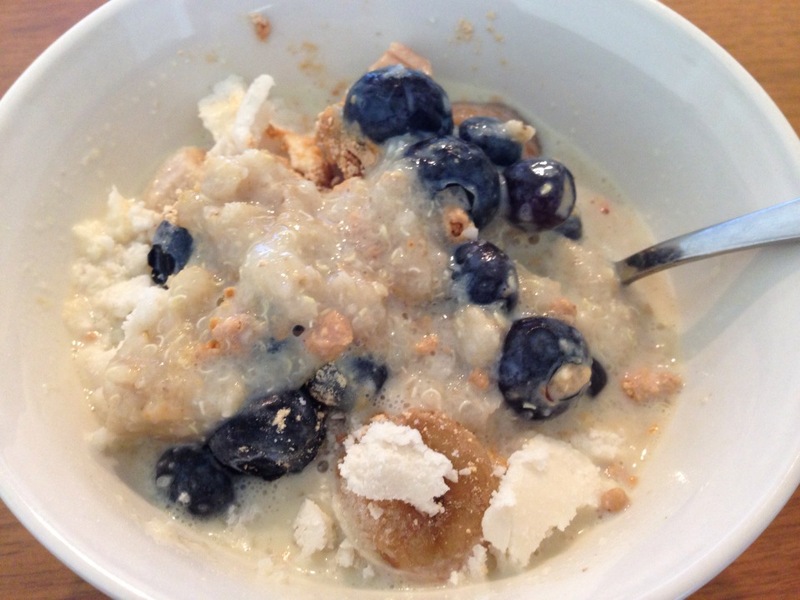 Why quinoa flakes AND oats for breakfast? Quinoa stands alone as a complete protein grain and the oats provide much needed fiber to keep me full throughout the morning. A winning combination. Chobani Greek Yogurt. Enough said. My favorite flavors are lemon, pineapple, pomegranate and cherry and the plain flavor tastes great on my oats in the morning. I love that Chobani is packed with protein and made of natural ingredients with no artificial sweeteners. Another plus? Chobani is made with milk but contains less than 5% lactose. It makes a great pre AND post workout fuel source. Sweet potato fries...sweet potatoes mashed...sweet potatoes whole...sweet potato hash...the possibilities are endless. 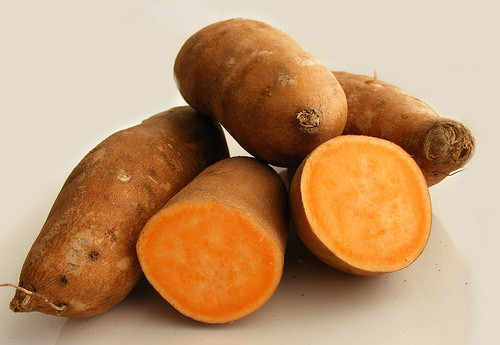 Actually a root vegetable, the sweet potato is packed full of nutritional value and according to a 1992 study by the Center for Science, may be one of the healthiest vegetables that can be consumed by humans when considering fiber content, complex carbohydrates, protein, vitamins A and C, iron and calcium. If you haven't tried this stuff, try it soon. 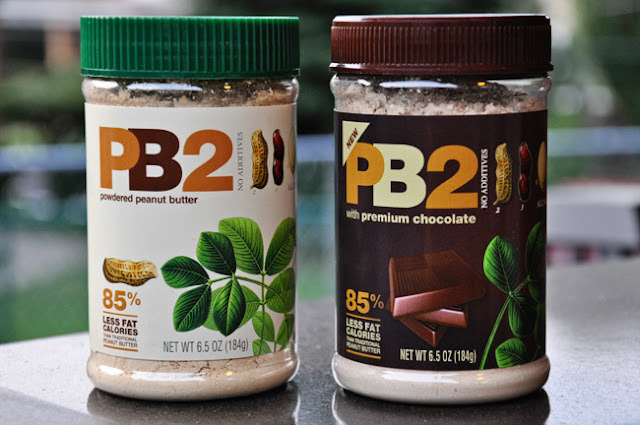 PB2 is a powder form of peanut butter minus all the fat and oil. By adding just a bit of water, PB2 tastes just like real peanut butter. It comes in two flavors - plain and chocolate - and both taste pretty good (I purchased both...why not? ), but I am a bigger fan of the plain. Matt loves the chocolate. I really enjoy the plain sprinkled on my oats in the morning or mixed with plain greek yogurt for a snack. Love this show. 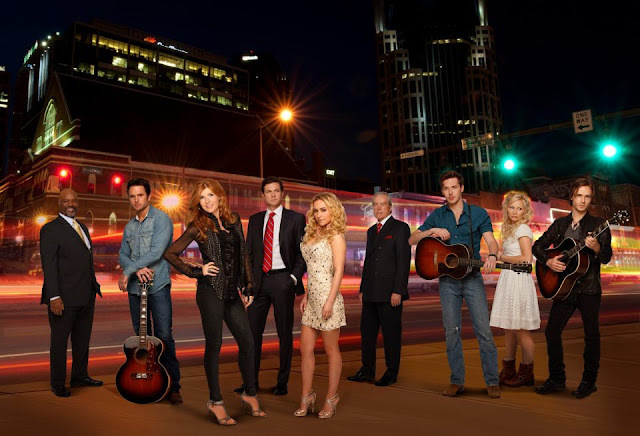 Nashville is my Wednesday night guilty pleasure...a perfect combination of new music and high drama. Looking for a workout app? GAIN is the next best thing. The main app is free and it comes with three prebuilt workouts. 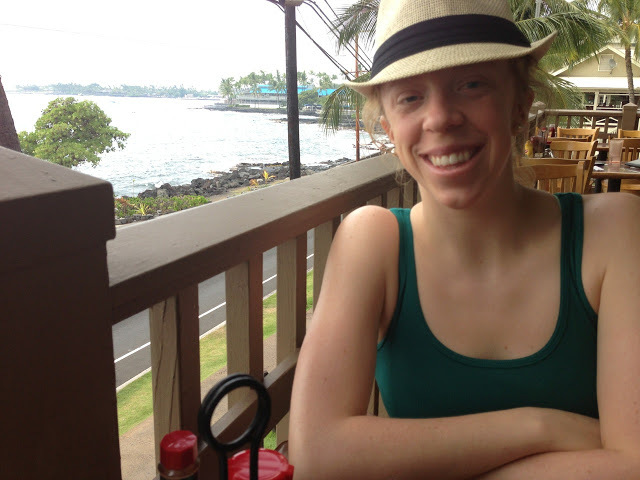 Additional, more specific training packages, charge a fee. However, the prebuilt workouts are great...especially the "abdomination" workout. Try it. You'll feel the burn, guaranteed!